Experiencing regret can leave a "bad taste" in one's mouth and drive an individual to compensate for one's losses. This immediate post-regret phenomenon was once thought to be unique to humans, but it has been recently demonstrated in other species. However, it was previously unknown if other species are capable of learning from these mistakes over time. New research from the University of Minnesota publishing 21 June in the open access journal PLOS Biology from authors Brian M. Sweis, Mark J. Thomas, and A. David Redish has now discovered that mice are capable of learning to plan ahead in order to avoid regret down the road even if there is no additional gain in rewards. Mice, like humans, do not like changing their minds, and are willing to pay to avoid such situations. Brian Sweis, the paper's lead author, says that "changing your mind means first, that you realize you have made a mistake, and, second, that the new course of action would have been the better option in the first place. These two properties of change-of-mind decisions capture hallmark features of regret: error of one's own agency and counterfactual reasoning." Sweis and colleagues designed a clever behavioral experiment in which mice were trained to run around a track, deciding to spend time waiting for food at different "restaurants", each of which provided a different flavor of food. Each time the mouse encountered a restaurant, it had to wait to receive the food, and then decide to either wait or skip and try its luck at the next restaurant. "It's like you open the door to a Chinese restaurant and see the line and have to decide whether to wait through that line or try your luck at the Italian restaurant next door," says Dr. Redish. Because each mouse had an individual preference of which flavors it liked, they were willing to wait a different amount of time for each flavor. "This means that we can define good deals (short delays) and bad deals (long delays) at each restaurant and that we can measure the economic strategies used," says Redish. The authors found that the economic strategies that the mice used changed over a period of months. 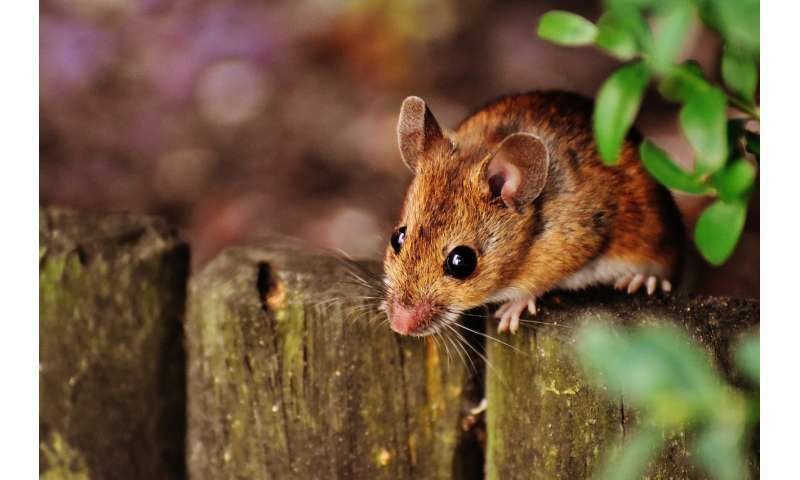 Early in training, mice rarely changed their minds. But as the potential price increased (by increasing the time the mice had to wait), strategies that worked perfectly fine to earn plenty of food when prices were cheap no longer sufficed and the mice learned a new strategy to back out of bad deals that were initially accepted with haste. The authors found evidence for regret that impacted immediate valuations at subsequent restaurants following these change-of-mind decisions (mice were more likely to accept and wait for bad deals they normally wouldn't, made those decisions faster, and rushed through consuming earned food). However, over the next month, strategies continued to change and mice learned to take extra time to plan ahead and avoid bad deals by skipping them altogether. "The strange thing is that mice didn't get any extra food out of this new deliberative strategy. That mice were willing to spend time deciding to skip tells us that there must be some hidden cost to the change-of-mind strategy," says Sweis. By planning ahead, mice learned to prevent getting themselves into situations that could lead to regret, instead spending time to make sure they avoided it altogether. "By carefully examining complex behaviors," Sweis describes, "we learn something new about how the brain might be separately processing (hidden) information that motivates us to learn and how we decide between things we should and shouldn't do or things we want but know better not to take." Dr. Thomas says that "This has important implications for understanding how such complex processes, which can be now be modeled in rodents, might malfunction in neuropsychiatric disorders."